I love new makeup brands and there's a new Aussie brand in town! 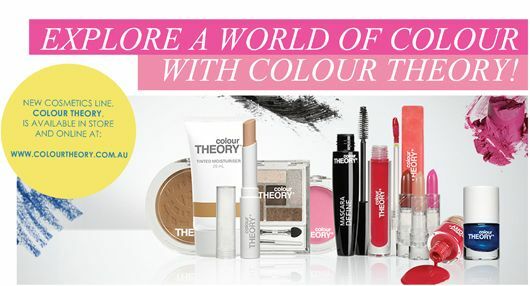 Colour Theory launched earlier this month consisting of super affordable products starting from only $4 for face, lips, eyes and of course nails! The polishes are made in Australia and are formaldehyde free and come in 22 on trend shades. 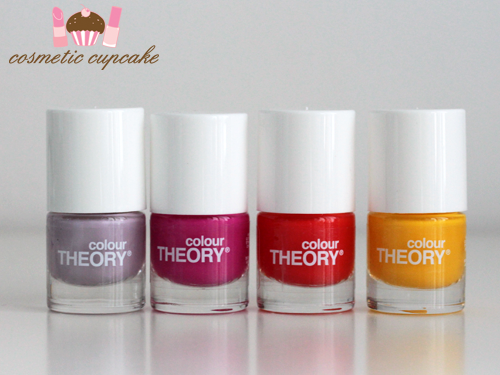 I was sent some summer polishes to try out and I have my swatches and review for you today! "The hottest accessory is a colourful nail and with 22 playful and sophisticated shades to choose from, Colour Theory makes it simple to nail this trend. As summer heats up and we steer toward sandals over boots, a perfect pedicure with a bright, on-trend colour is a must.. Colour Theory has a nail polish shade to suit everyone and with a price point of $4, they also suit all budgets!" 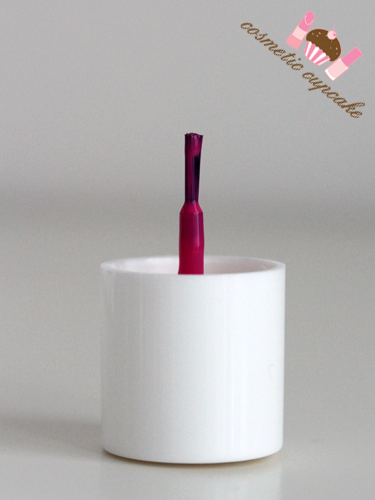 Lilac-a-Lovely is a lovely pale lilac with very subtle silver shimmer through it. Ahhhhh I love shades like this! It reminds of me China Glaze Up and Away or essence hello marshmallow!. The shimmer doesn't really show up on the nail unfortunately. It was super easy to apply which was surprising and 2 coats is pictured. Summer Lovin' Pink is a super opaque deep pink. A must have pedi colour for summer! If you're careful you could probably get away with just 1 coat actually but I used 2 out of habit which is pictured. Tangerine Dream is just as the name suggests and is a dark tangerine with a crelly formula. Very yummy. 3 coats is pictured. Pineapple Express is a medium yellow creme and is my absolute favourite!!!!! It's a creme finish but has a sort of squishy feel to it. It is good enough to eat and I'm just dying to do pineapple nail art with it!! 3 coats is pictured. 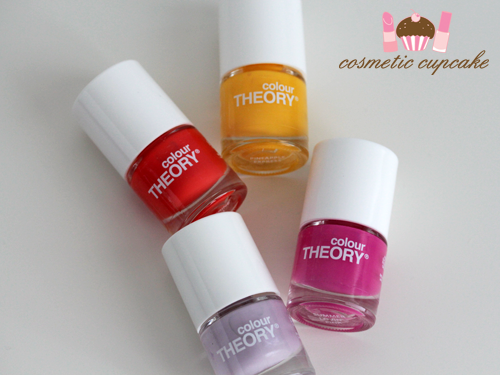 Overall: I am really enjoying the Colour Theory shades I was sent! The formulas are different for each polish but are opaque (in particular Lilac-a-Lovely and Summer Lovin' Pink) and dry quickly to a high gloss shine. There's a good shade selection from pinks, blues and also treatments. The polishes are quite small at 6mls which is about half the size of most other polishes so the bottles are pretty small BUT the cap is full size so the brush is WAY too short (see pic below) which made application a bit tricky. Overall a strong addition to the Aussie nail polish market and I'm looking forward to trying out other shades! 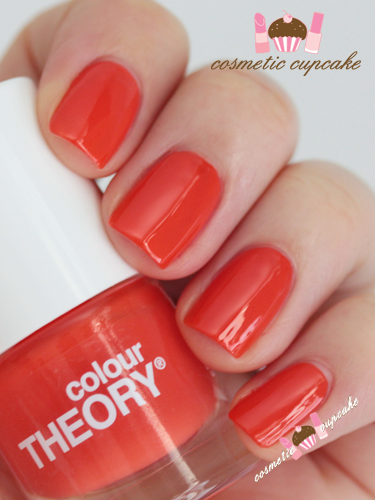 Details: Colour Theory polishes are available now from Amcal, Amcal Max and Guardian Pharmacies and also at www.colourtheory.com.au for $4. Gosh, these are stunning! I kept thinking one or the other was my favourite but I kept changing my mind scrolling down! I'm going to have to take a look at these, thanks so much for a great review! These shades are beautiful!! 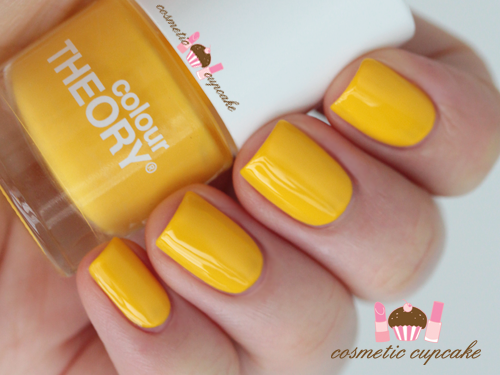 I had an email about ColourTheory but am yet to see them in stores. Will def be taking a look when I do see them though. I love all the above colours and I am quite impressed by how flattering the Pineapple Express shade is. I recently purchased the Colour Theory brush set from Amcal and it is amazing! You cannot go wrong. It's a far superior product to my ELF, Shu Uemura and Chanel brushes. Based on this, I'm looking forward to trying out some of their cosmetic range. Particularly their fine point eyebrow pen. Lime Crime Crema De Limon plus a little glitter!